Natural remedies are the popular choice these days. Finding a natural solution to a health concern is something that everyone can feel comfortable with. 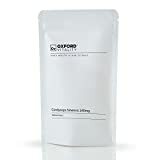 One of the latest natural options is cordyceps, which is increase in popularity today. Read on to find out more about this ancient medicinal mushroom. 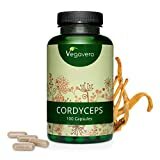 Cordyceps is a broad term for an ascomycete fungus that includes somewhere around 400 different species. It has long been used in traditional Chinese medicine for its many benefits. These are quite distinct from other mushrooms as they are actually a mix of caterpillar and fungus. Cordyceps comes from Asia, most notably from Thailand, China, Nepal, Vietnam, Korea, Bhutan, and Japan. 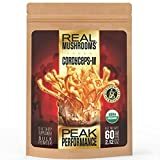 You can find cordyceps in abundance humid temperatures and in tropical forests, where you can also find the most diversity in these mushrooms. They can also be found in the Himalayas in China. Interestingly, you can find a variety (the one most common in Chinese medicine) that grows on the bodies of caterpillars in the region.The hosts for the other varieties of this fungus are other insects, which is what makes this fungus so fascinating. From there, it can also infect other fungi as well. When an insect is infected, it will have different behaviors. The spores come out of the victim’s body allowing them to be picked up by the wind and spread to grow elsewhere. Insects typically become infected while they are underground as larvae prior to pupating. The species that is used for medicinal purposes can only really be found in the area of the Tibetan Plateau. It can specifically prey upon various species of the ghost moths. It has long been used in Chinese medicines for its many benefits, which are currently being researched for their viability and to learn more about it. 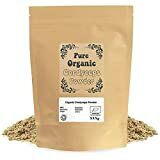 It is becoming an increasingly popular choice in the West for a natural solution to many health concerns. 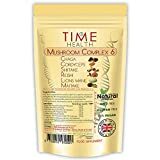 There is still research being done to understand all of the beneficial nutrients in this fungus. 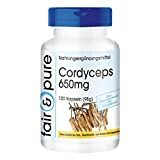 You can take cordyceps in a variety of different ways including tablets, capsules, tincture, elixirs, and powders. Traditionally, it was created into a tonic, which patients would consume. These are just a few of the top benefits from using cordyceps. There are some potential side effects to mention. You should not take this if you are pregnant or nursing as there have not been enough studies to decide if it is safe or not for this group. It may also worsen autoimmune conditions. It can also interfere with proper blood clotting. 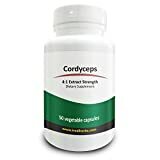 Be sure to ask your doctor before adding cordyceps into your health regimen.